This NASA satellite image shows large clusters of moving lights far away from any human settlement, and far away from any land. 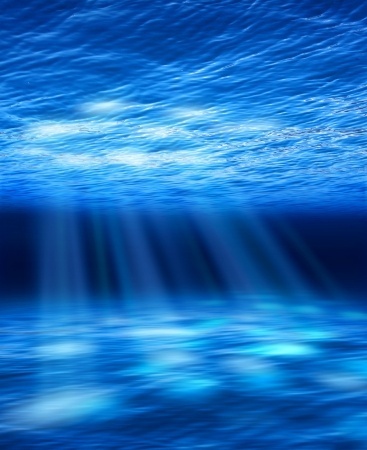 Out in the middle of the ocean, where one might assume there shouldn’t be large gatherings of human-generated light. Most of the articles I found were playful: What could possibly be out there – submarine gatherings, aliens, Atlantis, military testing? 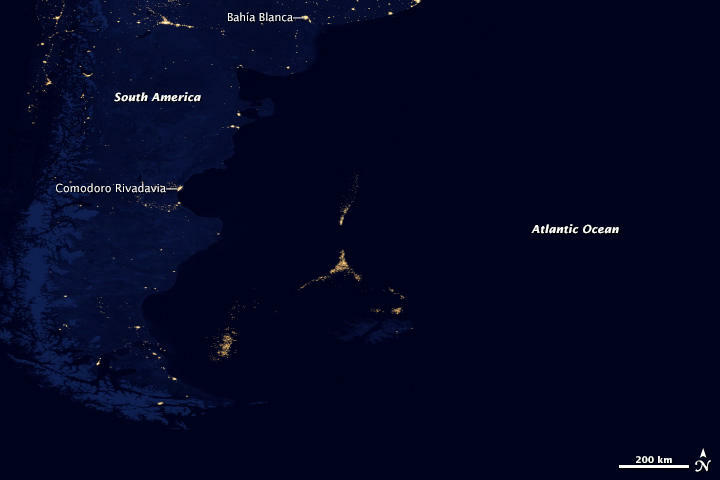 In 2012, a global composite map of Earth’s night lights revealed human activity well offshore from South America. The answer, provided by NASA, is easy. Fishing fleets, of course. Fishing fleets out harvesting Illex argentinus, a species of short-finned squid. I’ve written about them here. But how massive must these fleets be to form entire metropolises of light? How many fish could they possibly be harvesting? And for that, I refer to another article out this month, the one about Newcastle yachtsman Ivan Macfadyen. An experienced sailor, he recently sailed from Melbourne to Osaka, a trip he had taken ten years earlier. The differences between the two trips were stark. Where his boat had been followed by flocks of birds the first time, the second time there were none. On the first trip he’d only had to dip a line into the water to catch a fish for dinner, the second time he was only able to catch two fish in 3000 miles (4800 km). On the second trip he had to navigate his boat through a silent sea of large debris and garbage patches. And then he met up with a large fishing trawler. The friendly fishermen offered him bags and bags of by-catch fish, the stuff that got caught in their nets but wasn’t the tuna they were harvesting. They said they simply throw away anything not on their shopping list – in this case, massive numbers of any and all creatures in their fishing zone. So, back to the NASA images. One look at the comment section of one article shows that a large number of readers don’t believe the fishing fleet story. They would rather believe that the lights are evidence of underwater volcanoes, or alien forces amassing offshore with destructive intentions – because how could there be so many fishing boats? And I guess from the point of view of the marine animals, an alien invasion would seem a pretty plausible explanation. The problem with both perspectives – that of the silent sea, and that of preferring the explanation of aliens or Atlantis over massive fishing fleets – is that they can have the potential to paralyze us into fear and inaction. And as an antidote to that, I propose this excellent article by Carlos Duarte, Director of the Oceans Institute at the University of Western Australia. He suggests that it isn’t the oceans which are dead (not yet, anyway), but that consumer behavior is broken and must be altered on a fundamental level. And if these images and the story of Ivan Macfadyan’s sobering voyage have any effect, then I hope it is to inspire action rather than resignation.